If you are interested in implementing a classical education or simply desire to learn more about what a classical education entails, then looking into Memoria Press might be your next step. Their products reflect this vision by focusing on the liberal arts and classic literature while providing high academic standards. 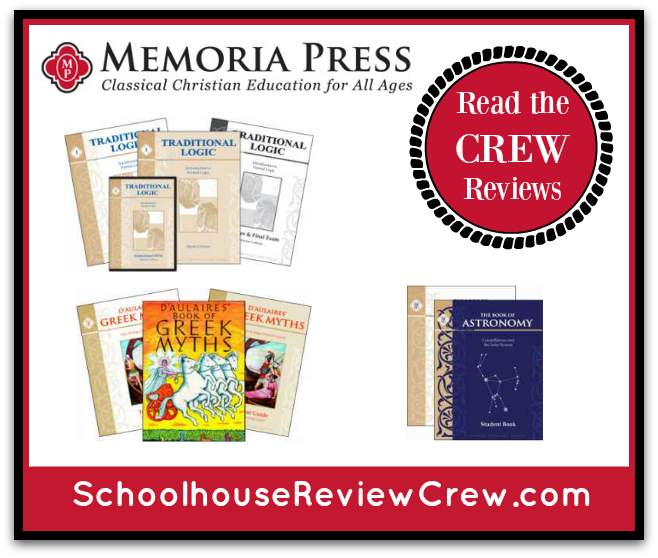 The Schoolhouse Review Crew members were given the opportunity to use three Memoria Press products that represent the various aspects of a classical education. 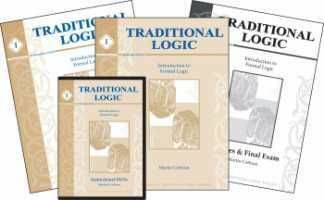 Intended for grades 7 and above, this course is an introduction to Formal Logic designed for use by a teacher without a background in logic. DVD lessons are offered with this complete set along with student and teacher texts. Begin your student’s classical literature studies with the Greek myths. 30 lessons to provide the background for a classical education, geared toward 3rd through 6th grade students. 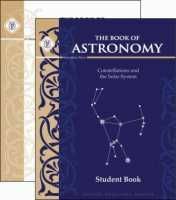 Although designed with 3rd graders in mind, this introductory astronomy program can be used with any age student. Constellations, zodiacs, and the motion of the Earth are all covered. 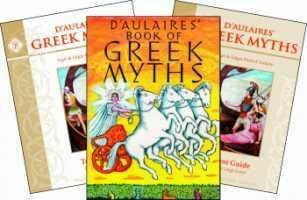 D’Aulaires’ Greek Myths is a great companion resource to this program. A big thank you to Christy Schaefer of Unexpected Homeschool for writing this introductory post. I was so happy to see these product reviews because we are planning to use BOTH the Greek Mythology and Astronomy materials from Memoria Press next year to go along with our literature study of the Percy Jackson series. I have never used Memoria Press so was planning to blindly purchase these materials and “hoping for the best”. I am pleased to see some reviews from the trusted TOS bloggers. You are welcome. We are pleased to provide trusted honest reviews. Hope your students enjoy the materials as much as ours have.